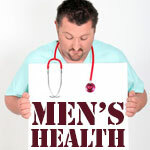 What factors influence a man when he is choosing treatment for prostate cancer? Race and evolving treatment recommendations for prostate cancer both play roles. Convenience is a factor that influences early stage prostate cancer treatment decision-making by African-American men more than white men, according to a study of men and their wives. Convenience, in this context, does not simply mean willingness to travel but rather includes factors such as bothersome side effects and frequency of treatment. Theresa W. Gillespie, PhD, associate professor of surgery, hematology and medical oncology at Emory University School of Medicine and Winship Cancer Institute, presented results from the study on June 3 at the American Society of Clinical Oncology meeting in Chicago. Active surveillance, also called watchful waiting, has received renewed emphasis as an important option for older men and those diagnosed with low-risk prostate cancer. It involves regular medical monitoring including prostate specific antigen (PSA) testing, and/or biopsies. The choice to put off immediate, more aggressive treatment with surgery or radiation can avoid side effects such as impotence or incontinence, yet only about 10 percent of men diagnosed with prostate cancer each year choose some sort of observation. These decisions are especially important for African American men, who have the highest rates of prostate cancer incidence and mortality in the United States. "The disparity in prostate cancer mortality for African American men is huge," Gillespie says. "Historically, this has been due in part because of differences in care delivery. However, even in health systems like the Veterans Administration, where insurance and access to care should not be an issue, you still see a difference in outcomes. This could be because of genetic differences influencing tumor behavior or co-morbidities, but the effect of treatment choice by African American men is less well defined." "With the support of the CDC, we wanted to find out more about treatment preferences and attitudes towards different treatments options for early stage prostate cancer, with a special focus on African Americans." The study involved 402 participants from three Veterans' Administration Medical Centers in Kansas City, Atlanta and Durham and three rural health centers in Georgia, Mississippi and West Virginia. 68 percent of the group was African American. Men and their wives completed questionnaires and participated in 54 focus groups, held separately for men and women, to understand their decision-making processes. Convenience was the decision-influencing factor that showed the largest significant difference between African Americans and whites; 57.6 percent of African American men described convenient as important, compared to 30.8 percent for white men. Other factors such as cost, side effects, and spouse's opinion did not show differences as large between the two groups. However, "convenience" can mean several things, discussion with focus groups revealed. Although the study group included many couples who lived in rural areas, participants did not say willingness to travel was an obstacle for them, Gillespie says. Rather, convenience can mean the choice of brachytherapy (implanted radioactive seeds) instead of external beam radiation therapy, requiring fewer and less frequent visits to the doctor. It can also mean avoiding choice of treatments that could lead to troublesome side effects, such as incontinence, she says. For both African Americans and whites, men emphasized concerns about possible side effects in their treatment decision-making, while women were more interested in survival for their loved ones, with or without side effects. Focus group discussions indicated that men wanted their primary care providers to act as a "quarterback", balancing and integrating information from different specialists. This can be a challenge for primary care providers, who are not cancer specialists and do not have time to provide extensive explanations about cancer therapies. "Men of both races are not choosing active surveillance largely due to lack of awareness - nobody is talking about active surveillance, neither the primary care provider or specialists," Gillespie says. One man said in a focus group: "How would I even have heard about active surveillance? The urologist talks about surgery. The radiation guy talks about radiation. They are pushing you to get what they offer. But who has any skin in the game with active surveillance?" Several men cited consumer advocate Clark Howard's widely-publicized choice of active surveillance as an instructive example for them. Another theme arose from the focus group discussions: men wanted to hear from someone who had been through the same experiences, and could explain how they perceived the risks and side effects. Some hospitals and clinics have support groups for men dealing with prostate cancer, but men (or their wives) may not contact them until after they have chosen their treatment course. The research was supported by the Centers for Disease Control and Prevention. Collaborators included John Petros, MD, professor of urology, Michael Goodman, MD, MPH, assistant professor of epidemiology, Joseph Lipscomb, PhD, professor of health policy and management, public health student Laura Britan, graduate student Jessica L. Rowell, Lindsey A. Herrel, MD and Katharina V Echt, PhD, assistant professor of nursing.